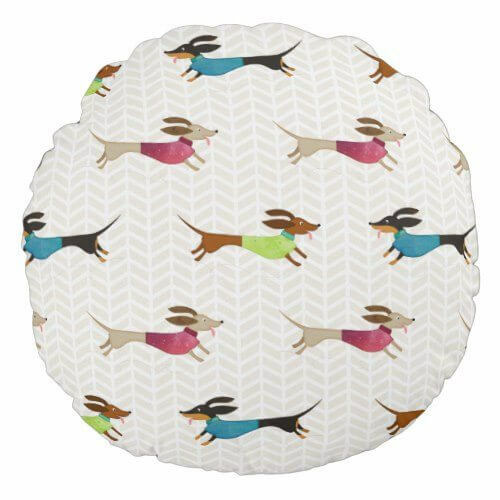 Our dachshund throw pillows are available in 3 shapes: square (16”x16” and 20"x20”), circular (16"), and rectangular (lumbar, 13"x21"). 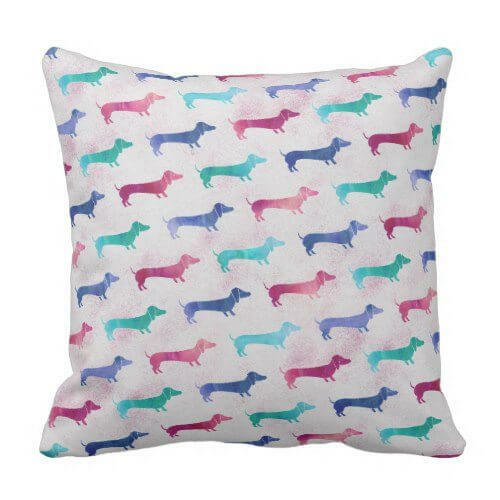 Fabrics available: Cotton, Polyester and Outdoor. 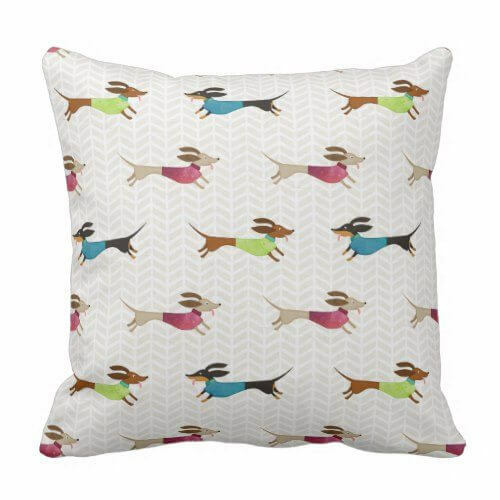 Click 'Buy Now' to select 'Style' and 'Fabric' selection. 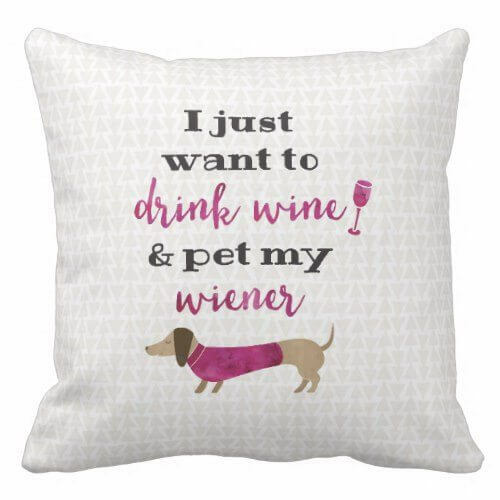 (Prices vary according to style and fabric chosen). 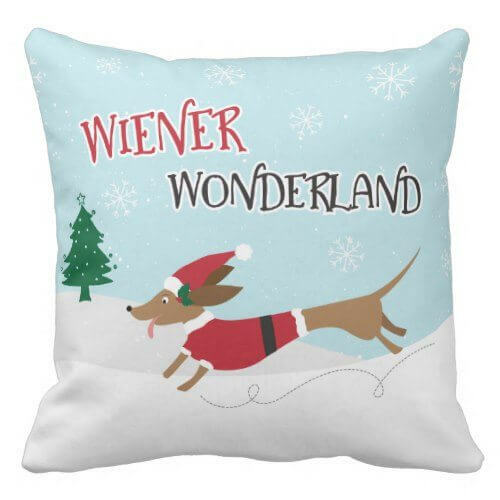 Short Stumpy Legs and a Long Body — it's the reason we love the dachshund breed. 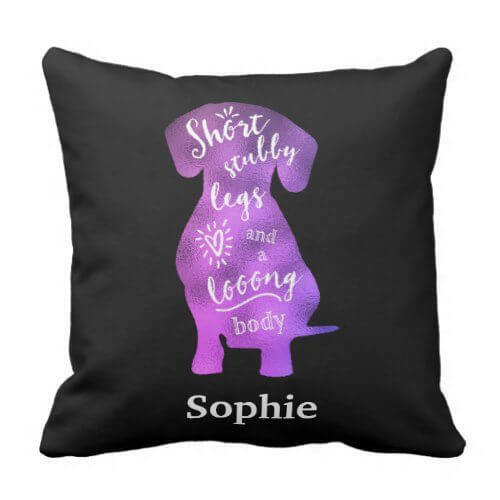 Show your doxie love with this one-of-a-kind design featuring a purple foil silhouette of a dachshund with the saying in unique type treatment. 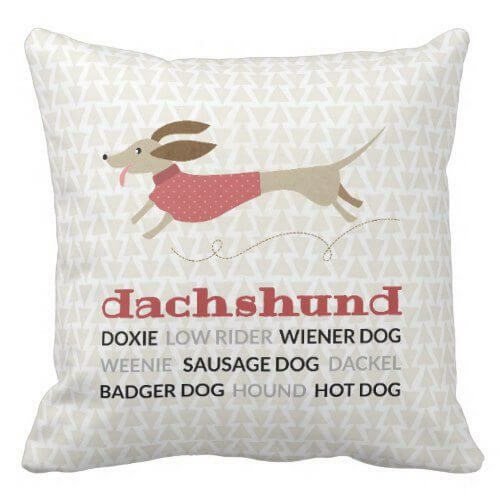 Customize it with your doxie's name. 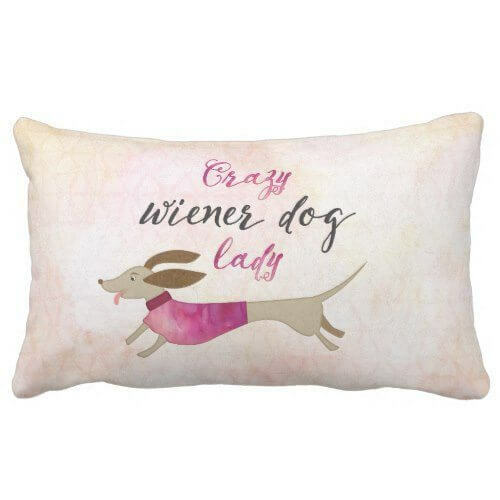 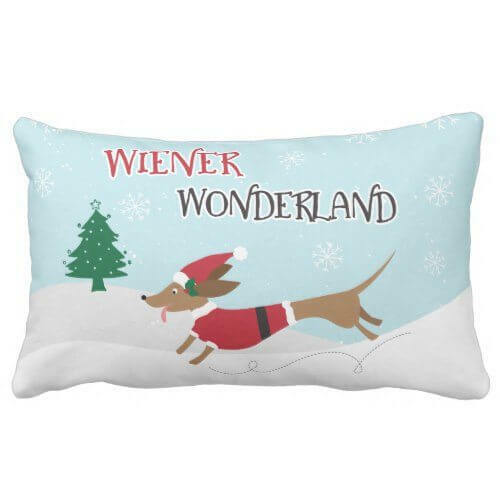 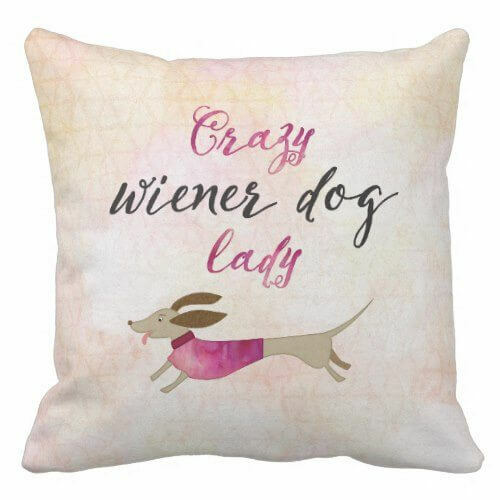 Pillow has black background with dachshund illustration on one side and dachshund nicknames text on the other. 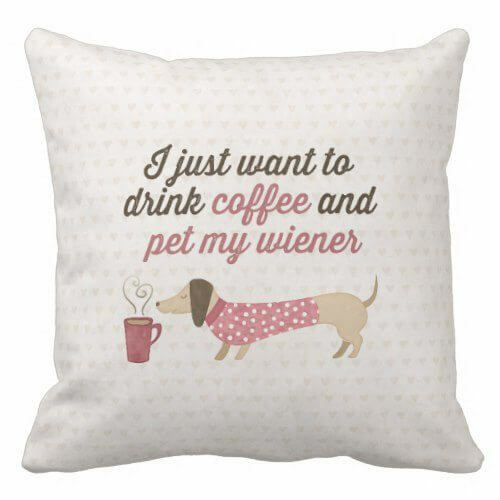 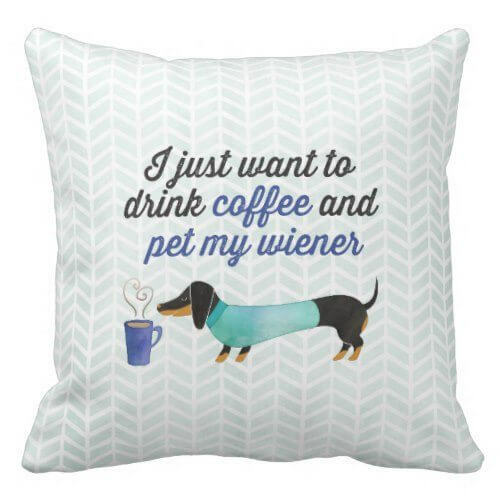 I just want to drink coffee and pet my wiener! 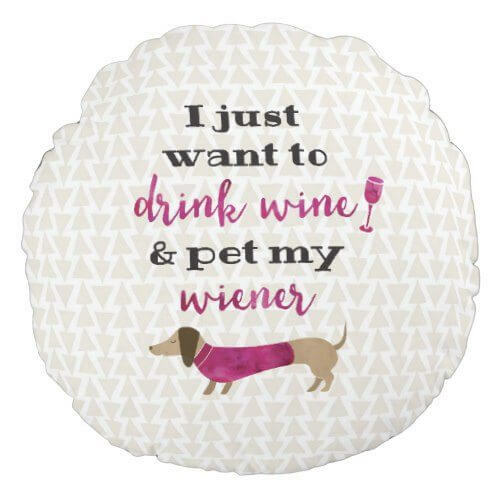 Sometimes you'd rather be home with your doxie than face the world. 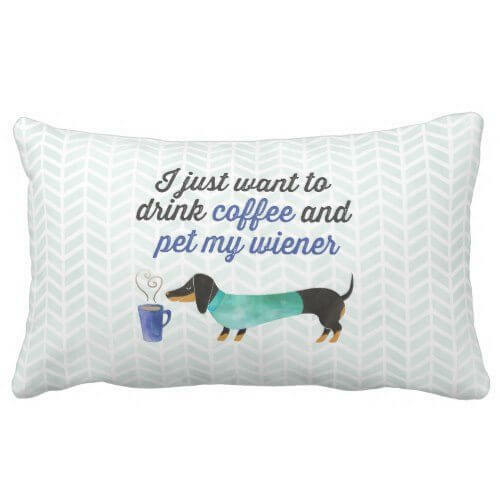 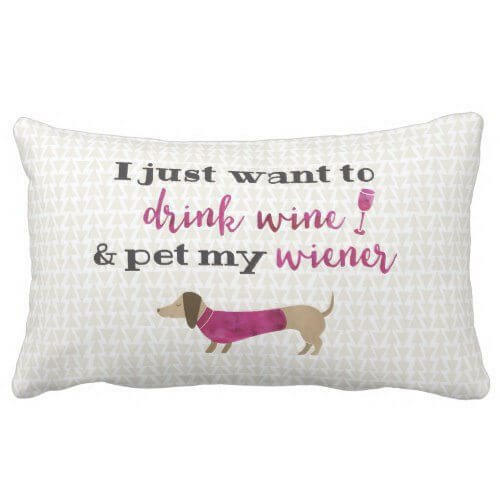 The perfect gift for the obsessive dachshund owner. 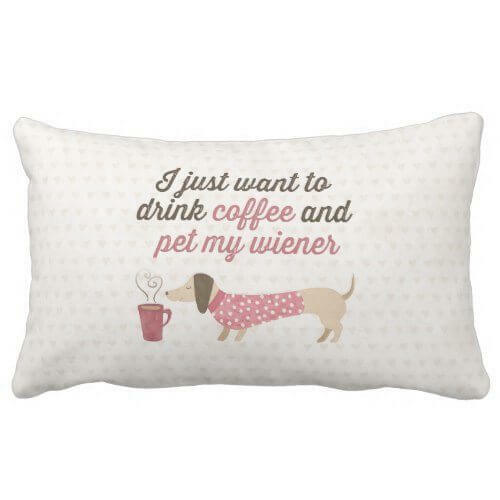 Features whimsical watercolor textured dachshund with coffee mug in pink/tan tones.